Our new overlords are here, and they have SunChips. The days when hungry college students had to physically walk to the cafeteria (or the dorm room vending machine, or the corner convenience store) to get a snack are numbered. 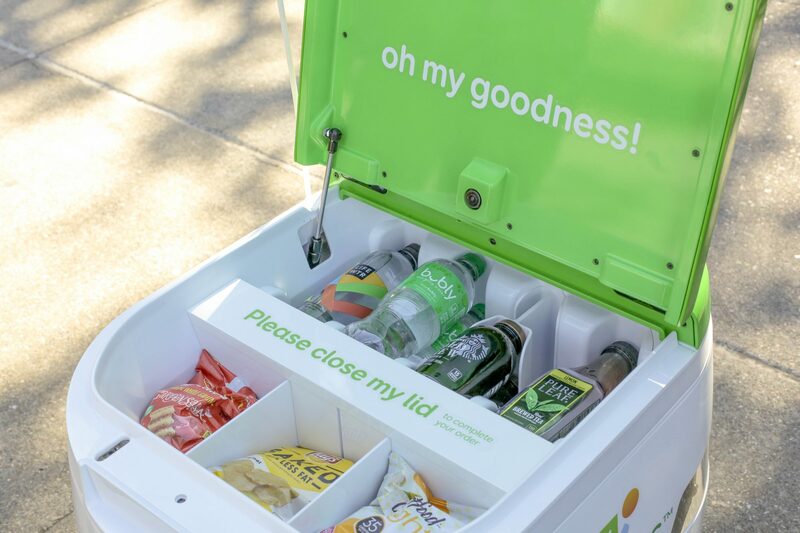 This week, PepsiCo unleashed a fleet of snack-wielding, self-driving robots across the University of the Pacific's Stockton, California campus. 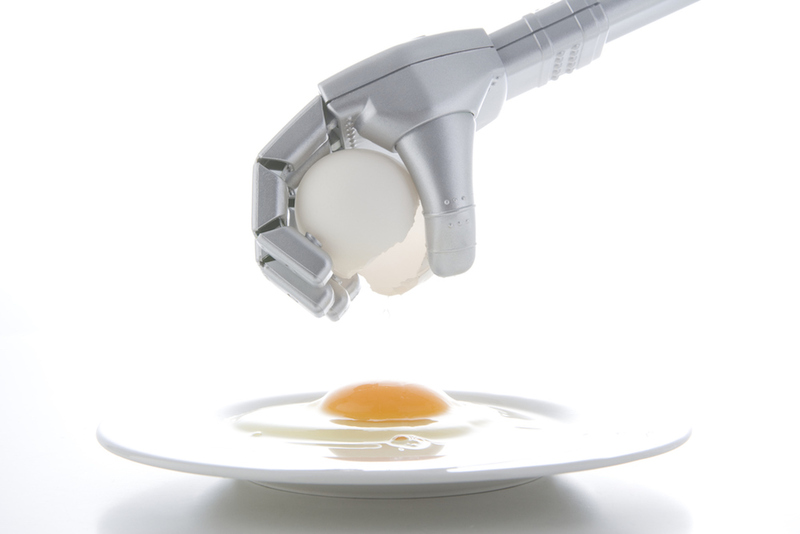 If all goes well, college snack-bots could become a pretty common sight in the not-so-distant future. "What kind of snacks are we talking about?" is probably one of your first questions. The roving butlers are stocked with options from PepsiCo's Hello Goodness portfolio—a collection of "better-for-you" brands. So, specifically, students can expect to find items like Harvest Cheddar SunChips, Pure Leaf iced tea, LIFEWTR, Baked Lay's, Starbucks bottled cold brew, and Smartfood Delight. The robots were made in collaboration with Bay Area-based Robby Technologies, who say of their creations: "the size and dimensions evoke feelings of a small pet walking down the street." They're not wrong! According to a press release, the kinda-cute delivery-bots can travel over 20 miles on a single charge, and are outfitted with cameras and headlights that allow them to navigate in full darkness or rain. They're also equipped with all-wheel drive, which lets them climb steep hills and handle curbs without tipping over. So how do you summon one of these high-tech small pets, exactly? Students must download a special ordering app that's only available to those with a University of the Pacific email address. There are limits, though. You can only call for a snack-bot in one of the 50 designated areas across the 175-acre campus between the hours of 9 A.M. and 5 P.M. So, if you're stumbling back to your dorm room from a campus party at 11 P.M. on a Friday, or holed up in the library for a midnight study session when hunger strikes, your friendly new robot bud, sadly, cannot save you.